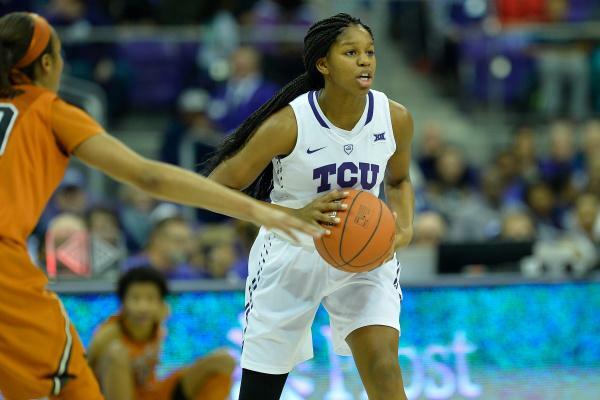 The TCU women’s basketball team led No. 6 Texas for the vast majority of the game Wednesday night, but they lost the lead for good with 5:08 left in the game and ended up losing 65-58. The loss dropped the Horned Frogs to 11-7 overall and 3-4 in Big 12 play. The Longhorns improved their record over TCU to 37-2. There was a silver lining in the game for TCU senior guard Zahna Medley, as she passed Edwina Brown, current TCU assistant coach and Texas legend, for 33rd place on the all-time Big 12 scoring list 57 seconds into the game with a tough layup over a couple of defenders.